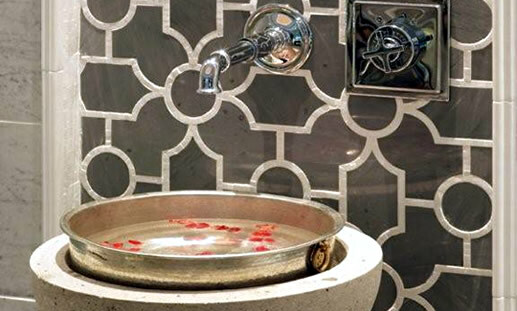 Glenmere Hammam experiences are ancient rituals of cleansing and purification that will leave you completely transformed and revitalized. These exclusive treatments may be enjoyed alone or as a duet. Please contact our spa reception team for hours and availability. We invite our guests to bring swim attire for this unique ritual. Select a treatment below to learn more. 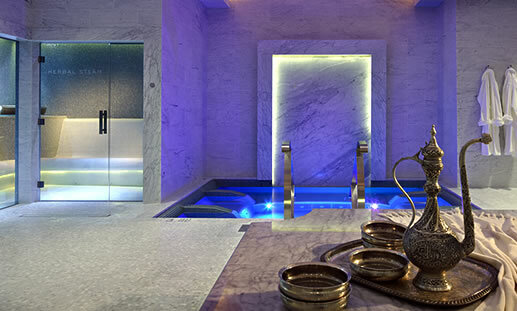 Take a trip to Istanbul with this treatment inspired by Turkish hammams. Warm yourself upon a heated belly stone while our spa attaché tends to your skin. A luxurious and bubbly scrub using moisturizing castile soap and a traditional, hand-made Kessa mitt incorporates gentle massage strokes, offering a truly one-of-a-kind experience! Experience a fragrant steam to soften skin. 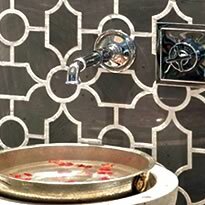 Stress and tension melt away as you are exfoliated on our warm marble bellystone. Followed by an application of detoxifying clay, scents of rose fill the air while water is gently poured over the body to relax and cleanse. An invigorating scalp massage followed by an application of Argan Oil leaves behind nourished, supple hair and skin. Synonymous with an earthly paradise, Shambhala is a mythical kingdom in Tibetan Buddhist tradition hidden somewhere in inner Asia. Centuries ago, Eastern and Western explorers sought out this peaceful, harmonious place thought to have curative anti-aging powers. Likewise, this treatment restores peace, balance and harmony in the body while providing anti-aging skin benefits. Your journey begins with an application of essential oils to key meridian points to help prepare the body for detoxification in our dry heat sauna. A refreshing cool mist shower and herbal steam with an application of aroma-infused black soap will soften the skin and awaken the senses. Incorporate gentle exfoliating with a warm-water rinse while relaxing on a warm bellystone. 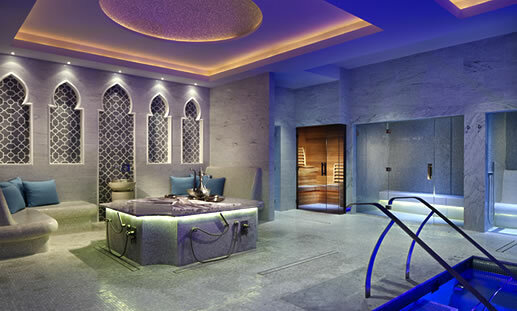 Then move to a Spa Suite for a 60-minute full body massage.